"You can directly feel the overhaul quality when feeling the cable in your hands. The cable is quite rigid which is a sign of quality to me. Not to mention the super clean sleeving. 5 out of 5 without hesitation." 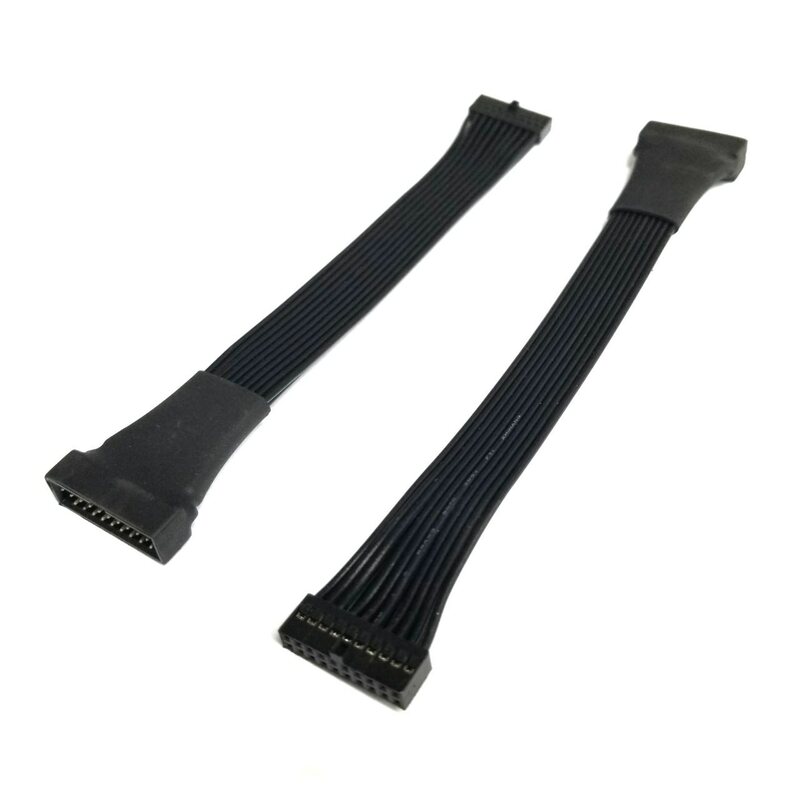 "First and foremost this product was fabricated with top quality cabling. It has a sleek elegant design and the braided wrap looks very professional. 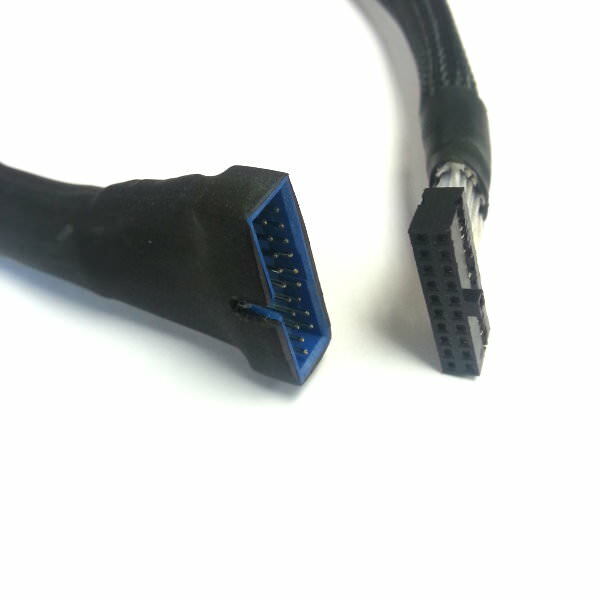 This is a low profile usb 3.0 20 pin header extension cable for a USB 3.0 20 pin extension from a an ASUS Z87 to the front panel USB 3.0 case ports. It does not have the typical thick piece of unbendable plastic nor rubberized ends like other 20 pin headers which Is why I needed this adapter. This extension is for tight fitting 20 pin headers with little room such as my Corsair 500r carbide and my z87 motherboard where the case steel molding elevates near this port on my MOBO. A standard cable would not fit where this will nicely without risking bending any pins do to its light weight flexibility. The cable isn't rigid but is by no means flimsy you can make a 45 or 90 degree bend without worrying about the integrity of the cable being kinked. It is very durable and gets the job done. It is also great 4 case management cable routing because of how well it bends in tight places and doesn't take up up massive room since it is thin and narrow. I recommend this cable to anyone with a tight fitting 20 pin header, especially with the big fat plastic adapter fitting and the heavy cable(s) The weight or the cheap fitting alone witch could damage your internal USB port by cable bending or tight coffined spacing bent pins on a motherboard I had just from wiggling around inside. Even if your 20 pin cable fits fine this one looks much better and wont jam the socket. Even if you accidentally push on the 2 cables going to the stock front case adapter to the motherboard or PCIE add on this one is weightless and wont push your device port." 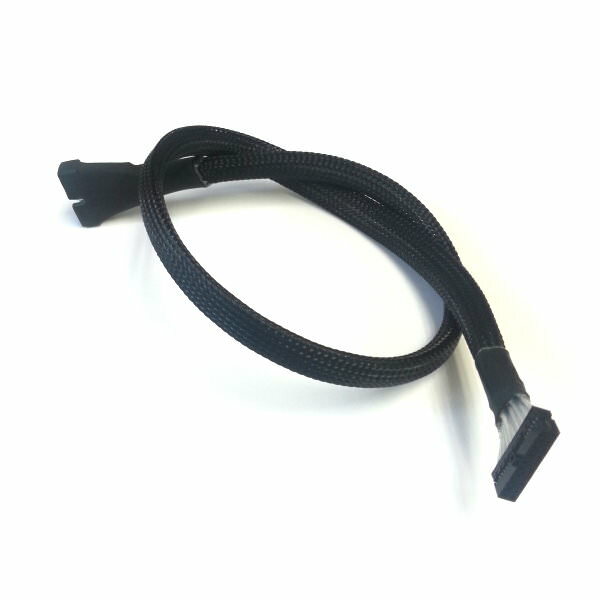 Click the button below to add the High Quality Sleeved USB 3.0 19-Pin Internal Header Extension Cable (Low Profile Connector) to your wish list.